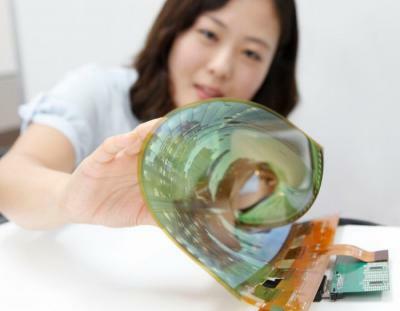 Both LG Display and Samsung Display are currently producing flexible AMOLED displays, and we know that the two companies aim to increase production capacity in the near future. ETNews posted an interesting article that sheds some light on the company's current plans. So let's start with LGD, that currently produces plastic-based OLEDs in its Gen-4.5 fab, with a monthly capacity of 14,000 substrates (this more than double its capacity in the beginning of 2014). According to ETNews LGD is building a Gen-6 line that will have eventually have a capacity of 15,000 monthly substrates (much larger than the current Gen-4.5 fab of course). It seems that LGD will begin construction in Q3 2015, and the first stage will have a production capacity of 7,500 monthly substrates. Samsung is currently producing flexible OLEDs in a 5.5-Gen line with a capacity of 8,000 substrates per month. We already know that Samsung is finishing a new 6.5-Gen flexible OLED fab that will begin production soon. ETNews says that the production capacity of this new fab will be 15,000 monthly substrates, which will hopefully be enough to supply panels for the Galaxy S6 Edge and the future Note 5 (or at least some of its variants).